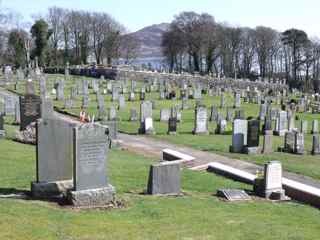 Given my fascination with graveyards and the fact that I discussed my visit to a Russian cemetery in my blog post last week, I thought I’d talk about one of my favourite Scottish ones today – Lamlash Cemetery on the Isle of Arran. Arran is an island off the West Coast of Scotland, two hours from Glasgow by car/train and ferry. It’s known as Scotland in Miniature because anything you can find in Scotland – apart from a major city – can be found on the island. Four thousand year-old standing stones? Check. Iron Age Forts? Check. Mediaeval Castle? Check. Victorian Castle? Check. Palm trees. Palm trees?? Yes, palm trees. Check. Lamlash Cemetery commands a stunning view. Situated on a softly rising hillside, it overlooks a golf course in one direction and the Holy Isle in Lamlash Bay in the other. But as someone who loves reading about history of World War Two, what I find most fascinating about the place is a row of war graves. They commemorate the men of RAF Ferry Command whose plane crashed into a foggy mountainside on the island in 1941, shortly after taking off from the mainland. 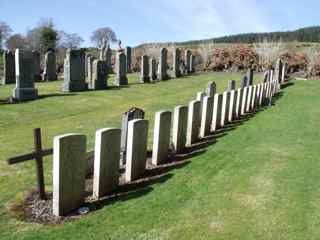 I’ve visited Arran every year since the age of seven, and on each trip I make a pilgrimage to the cemetery to wonder about the stories of the men buried there. These were men of all ages, nationalities and religion. 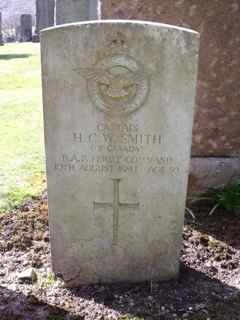 As well as the two Canadians whose graves are shown here, there was a third Canadian, two Americans and an Australian amongst the Brits. It was their job to ‘ferry’ planes from the factories in North America to Britain. They were returning to North America from one such flight when their plane went down. 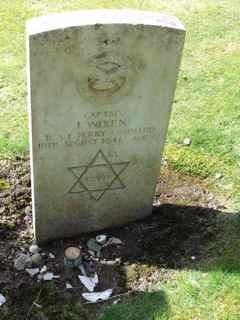 I don’t know if it’s true or not, but I ‘remember’ hearing a tale that, following the war, the family of one of the men wanted their son’s remains returned to his home. However, when they visited the cemetery and saw him buried by his comrades in such a peaceful location, they decided to leave him where he lay. Kirsty Wark, a highly respected TV journalist and fellow Arran-ite, has written a novel which features the plane crash. Entitled The Legacy of Elizabeth Pringle, it is scheduled for publication on March 13th, so please check it out. If you would like more information on the events of that crash, please click here and scroll half way down the page. 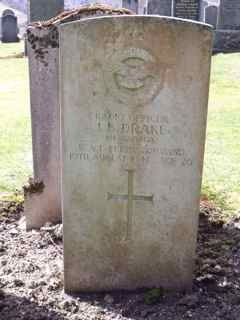 This entry was posted in Travel and tagged Isle of Arran, Kirsty Wark, Lamlash, Lamlash Cemetery, RAF Ferry Command, Scotland, The Legacy of Elizabeth Pringle. Bookmark the permalink. I hope others continue to remember and appreciate what our soldiers did for us in the name of freedom like you are. I have always been fascinated with the history of Scotland and hope to see it one day. I will visit Lamlash Cemetery. Thanks for bringing it to my attention. Scotland is a beautiful place. I really hope you manage to get there one day, Mary. And I’m sure you’ll love the Isle of Arran. We here in Canada miss the implications of such sites. Appreciation for what we have thanks to the sacrifices of others is important. thanks for sharing these stories. I’m glad you enjoyed it. We’ve been so fortunate in our lives that, yes, we do need to sit back and say thank you, don’t we. Yay! I’m not the only one who enjoys cemeteries! I always go to the local cemeteries when we travel and it confuses my family. I think that interest is one of the reasons I enjoyed the Graveyard Queen series by Amanda Stevens so much. Cemeteries are so fascinating, aren’t they! They hold so many stories. Arran is just such a wonderful place. Hope you get to see it on your next trip! 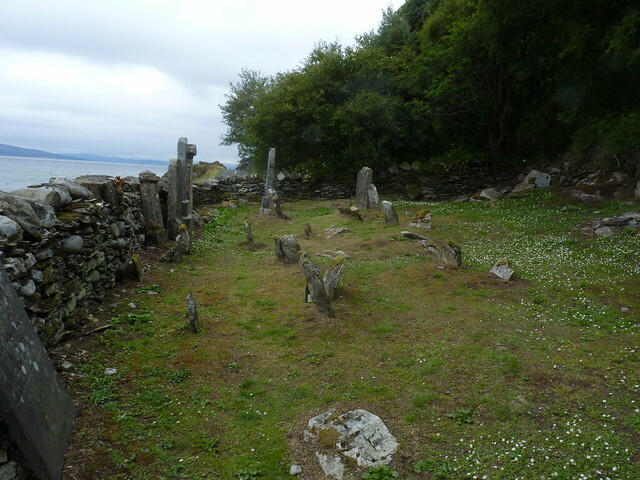 I was on Arran last wee and found a tiny old cemetery right on the shore while driving down the west coast it was the most beautiful place but no church or anything nearby Do you know it or have any information about it One of the graves had a date of 1785 and some I was not able to read and looked even older?